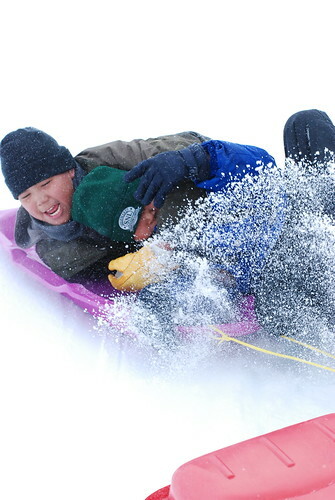 As the seventh grade advisor, I had the extreme pleasure of accompanying the seventh and eighth graders on the annual Junior High Sliding Trip. We rode in sleds pulled by snow machines. I have never driven a snow machine, and I didn't want to learn with a bunch of junior highers behind me. I opted to be a passenger. We spent the trip huddling under tarps and blankets and making faces at each other (I like to set a really mature and refined example for my students). I claimed the sled with the highest sides and kicked the boys out. 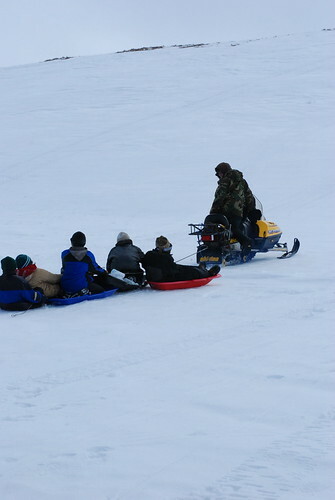 Then I invited the girls to ride in the good sled with me. 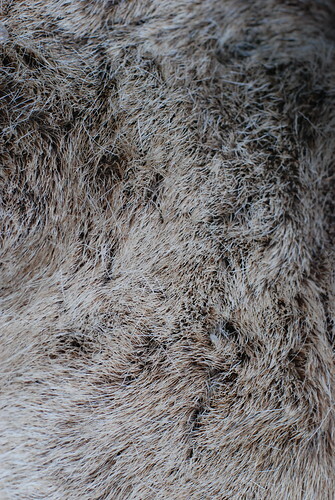 We sat on top of a very nice very thick reindeer skin. 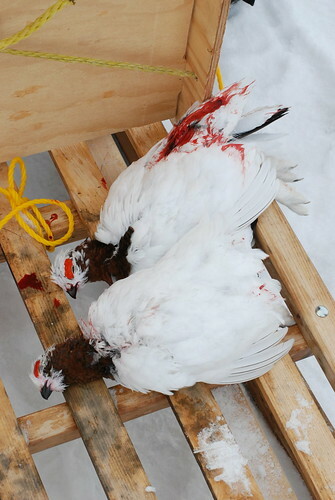 It is pictured in the above photograph. The trail was marked with these three legged things. They're meant to show the way during bad weather. This was my first time being outside of Shishmaref (other than flying out by plane). It was really fascinating to see different scenery. Even though that scenery was small hills covered in dirt and snow. 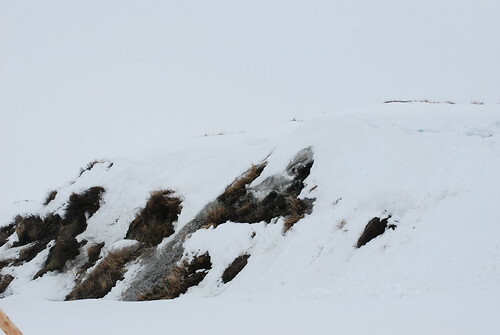 We traveled to a place about sixteen miles outside of Shishmaref. It took us about forty minutes to get there. 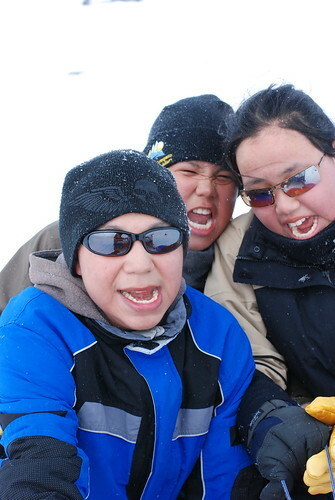 The kids spent a lot of time seeing how much air they could catch with their little plastic sleds. One of the bonuses of going sliding with a bunch of snow machines is that they kids got to be pulled up the hills. 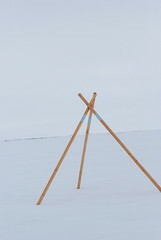 They would loop their sled ropes through the backs of the big sleds and hang on. This was the best part of the trip for me. Sometimes I would ride up to the top of the hill just to ride back down on the snow machine. It was fun. 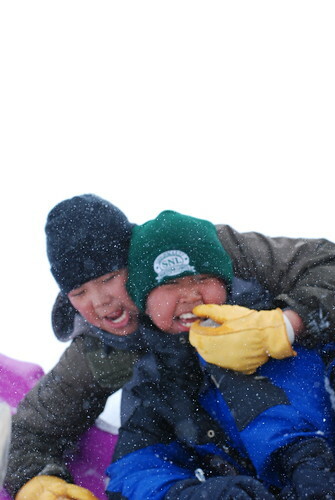 Sometimes I rode on the back of the sleds and take pictures of the kids trying to hang on. When the snow machine drivers drove fast (which they did a lot), kids fell off. This was my favorite series of action pictures. 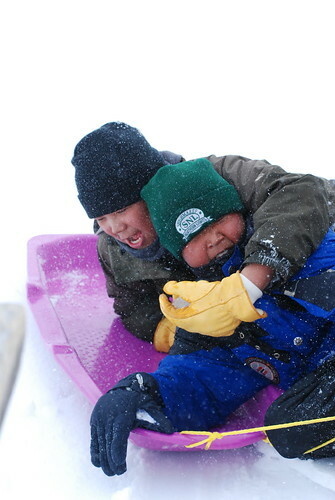 It started out as two classmates sharing a sled. When they started to go fast, the boy in back grabbed his friend for protection. 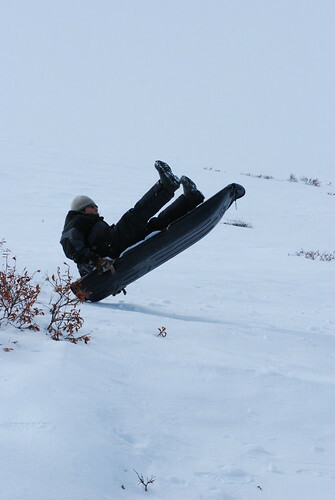 before ending in a wipeout! 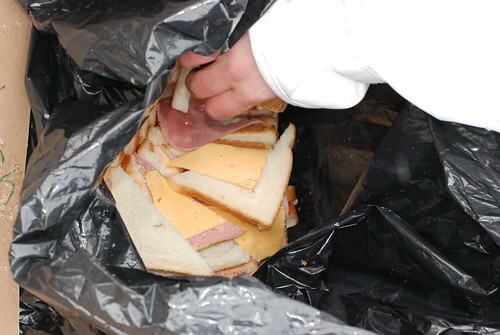 We dined on ham and cheese sandwiches out of plastic garbage bags. 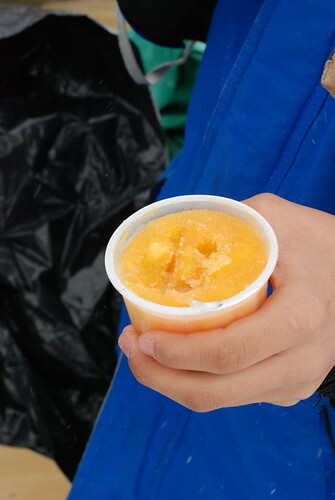 We also had these yummy frozen peaches cups. They were so good that I ate three of them. 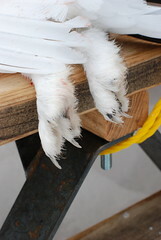 In case you ever wondered what ptarmigan feet look like, this is it. They're kind of fuzzy. Lucky for me, I get to go on the next sliding trip. Also lucky for me, it won't happen until next year.